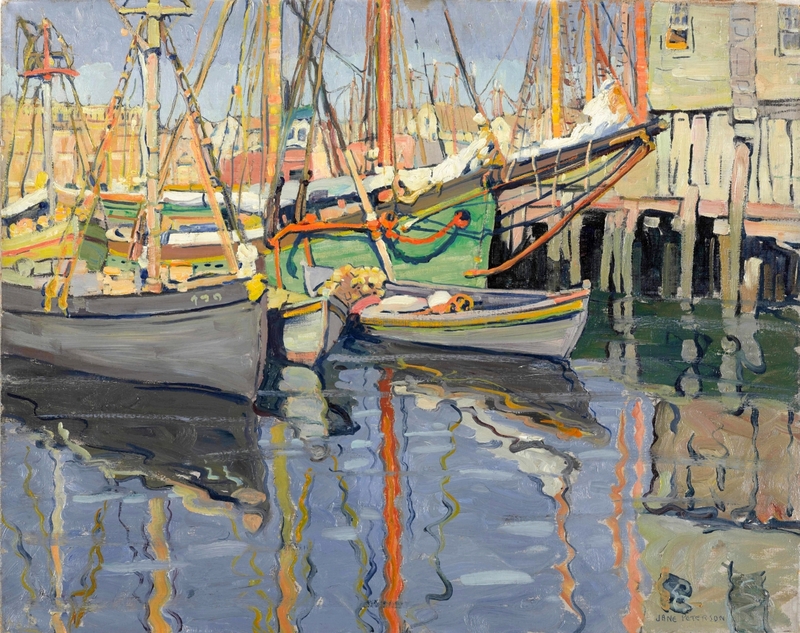 Jane Peterson’s (1876-1965) shimmering views of Gloucester Harbor and the Venetian Lagoon have long resonated with collectors, who vie for her paintings when they come up for sale. Thus it comes as something of a surprise that “Jane Peterson: At Home and Abroad,” the traveling exhibition at the Mattatuck Museum in Waterbury, Conn., through January 28, is the first major museum treatment of her work in 45 years. Nearly 70 public and private lenders contributed to the presentation organized by Dr Cynthia Roznoy, lead author of the companion catalog. The Mattatuck Museum curator regards Peterson as a pioneering Modernist, while also acknowledging the influence of mentors as diverse as Arthur Wesley Dow, Louis Comfort Tiffany and the Spaniard Joaquin Sorolla. How does this project fit into your research interests and past endeavors? My field is American Modernism and my dissertation was on Henrietta Shore (1880-1963). I’m always interested in women artists. The Jane Peterson exhibition and catalog allowed me to combine my interest in both. Where did your research take you over the past two years? J. Jonathan Joseph’s groundbreaking monograph Jane Peterson: American Artist (1981) is a touchstone for all of us learning about this artist. It was a pleasure to learn from his expertise and to find inspiration in his continued attention to Peterson’s work. We visited many museums. Among them, Maine’s Portland Art Museum has several Petersons in its collection and was among our first stops. In Washington, DC, meetings with curatorial and collections staff at the National Museum of Women in the Arts were interspersed with research at the Archives of American Art, Smithsonian Institution. New York museums and galleries were essential resources. The Wadsworth Atheneum library was helpful. Trips to Gloucester, Mass., and Palm Beach, Fla., two of Peterson’s home cities, provided insight into Peterson’s life and art. Why has Peterson been so prominent in the marketplace but relatively overlooked by curators? 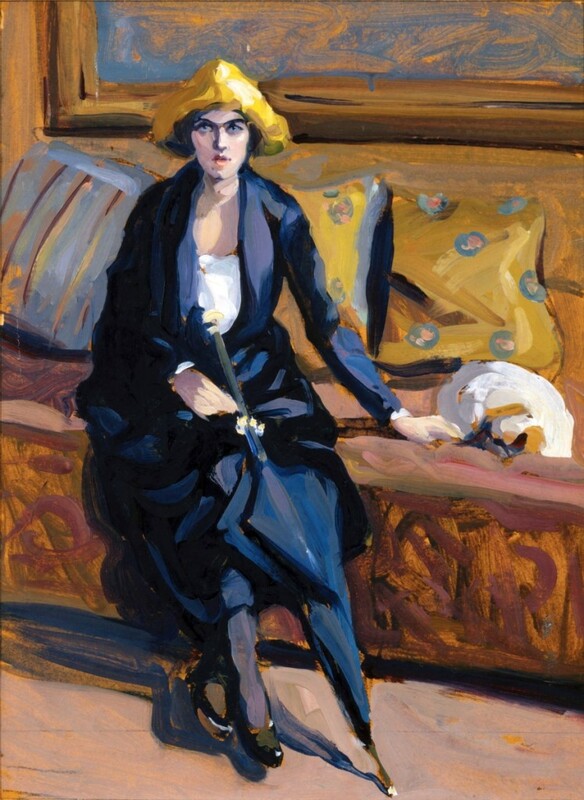 Art dealers and galleries have been instrumental in contributing to Peterson scholarship. When we reached out to our museum colleagues, they were surprised to learn it had been so long since a show of her paintings had been organized. All felt the timing was right for a retrospective exhibition. What for you is most salient about Peterson’s work? Do you consider her a Regionalist? A product of the Arts and Crafts movement? Peterson’s exploratory style and variety of subject matter intrigued me as soon as I viewed more than a half-dozen paintings. Described at different times as an Impressionist, a flower painter and a Gloucester regionalist, Peterson was, in my view, a Modernist. While never among the most avant-garde of her generation, Peterson understood her own work in that context. Which teachers most influenced her? Peterson chose her teachers wisely. She valued their lessons, but also the value of being associated with their success. At Pratt Institute, she studied with Arthur Wesley Dow (1857-1922), who encouraged a goal of harmonious interpretation of nature rather than as lavish copy. After graduation from Pratt in 1901, Peterson continued her education with American Impressionist Henry Snell (1858-1943). She afterward furthered her studies in London with the English Art Nouveau watercolorist Frank Brangwyn (1867-1956). Between 1909 and 1910, she worked with Spanish painter Joaquin Sorolla (1863-1923). Later, upon her return to Paris, she took a class with Jacques-Emile Blanche (1861-1942), the celebrated society portraitist. “The Accused and her Dog (Woman with Umbrella),” undated. Oil on board, 16-7/10 by 12-1/5 inches. Collection of Dominique Riviere. Image courtesy Doyle New York. What is the great gem of the show? The audience favorite is “Lure of the Butterfly,” painted in 1916 while Peterson was an artist in residence at Louis Comfort Tiffany’s Laurelton Hall estate. With its brightly colored depiction of a young woman in pursuit of an elusive butterfly, this composition demonstrates the degree to which Peterson had developed her distinctive style. Her striking rendering of light, shadow and pattern is strengthened by her palette of bold greens, golds and bright white. The juxtaposition of the geometrical architectural framing with the curvilinear forms of the lotus leaves and the kneeling woman is harmonious and altogether pleasing. New discoveries? Long-lost works located? Anything still missing? I look forward to hearing from Peterson collectors as they learn about our project. One painting I still hope to find is in conjunction with Peterson’s affiliation with Louis Comfort Tiffany (1848-1933). It is a painting by Tiffany titled “Jane Peterson in the Garden at Laurelton Hall.” I know it only from a 1974 Sotheby Parke Bernet auction catalog. What remains undone from a research perspective? The next major step would be a catalogue raisonne. Following its close at the Mattatuck Museum, “Jane Peterson: At Home and Abroad” travels to the Long Island Museum in Stony Brook, N.Y., the Columbia Museum of Art in South Carolina and the Hyde Collection in Glens Falls, N.Y. For more information or to purchase the accompanying catalog, visit www.mattatuckmuseum.org.